I dare say QR codes have not gone totally mainstream, although their popularity continues to be on the rise. Only recently, I found out that some people I know personally have created QR codes containing information that is usually transmitted via vCard. Obviously, I am not there yet, but it is certainly a convenient way of sharing your contact details with others, especially with how prevalent smartphones are these days. Additionally, we’ve heard of QR code tattoos – even QR code tombstones! There is nothing quite like the world’s largest QR code, though, and not only because of its size. Recently, the guys at Guinness World Records officially confirmed that the Lacombe Corn Maze in Alberta is the world’s largest QR code. The corn maze is owned by the Kraay family, who is already well known for their giant corn mazes. At about 29,000 square meters, this QR code corn maze does stand out, though. 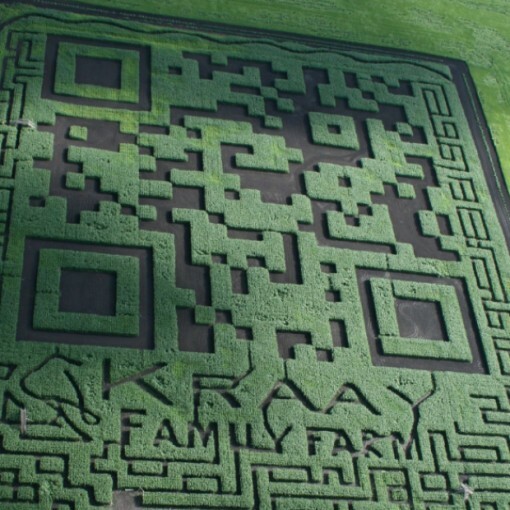 Now, I am not entirely sure just how practical the world’s largest QR code is – unless you’re an alien in space – but if you have the means to scan it using your smartphone, then you will be directed to the farm’s web site, where you can see the other corn mazes that they have created. Seriously, though, the Kraay family’s QR code works. All you need is a helipcopter. They’ve done it themselves just to prove the fact. Practicality aside, this QR code corn maze also offers the fun of finding your way through its twists and turns. If you’re in the area, visit the Kraay Family Farm for something different.